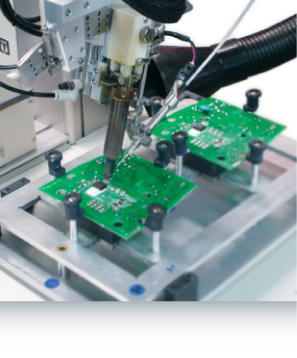 The world’s most respected brands rely on the expertise of Millennium Electronics to design, develop and manufacture high quality electronic controls and assemblies that are critical to the success of their products. Brands like Miele, Rheem, Assa Abloy (Lockwood) and many other companies, both Australian and International, benefit from our proven approach of combining commercial engineering excellence with highly automated manufacturing capabilities. To service our international customer base, Millennium Electronics has offices in Australia, Hong Kong and North America, while our world class, quality accredited manufacturing facilities are located in Australia and Hong Kong. Our competitive advantage is firmly based on designing and then manufacturing high quality products that exceed our customers’ expectations and meet all international standards. While Millennium Electronics may be the name behind the brands, our products and service have put us ahead of our competitors through innovative design and technically advanced features that have won us contracts in the United States, Canada, China, Germany, Sweden and Australia. Testament to our quality and capability is that our customers have remained with us for many years. We’re Millennium Electronics and our customers depend on us.